Welcome back to another week of the Weekly Kid's Co-op! Last week was CRAZY for this little family so I didn't post, so this week we'll have 5 features instead of 3! Love this sea life playmat from Making Boys Men! There are SO many different ways to use it and so many other scenes you could create! 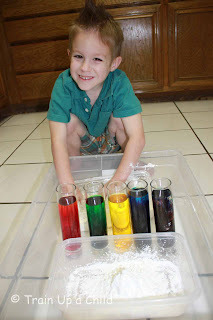 Doesn't this Color Mixing and Oobleck activity from Train Up a Child look like tons of fun! We just played with oobleck for the first time last week and I love the color mixing aspect of this post! 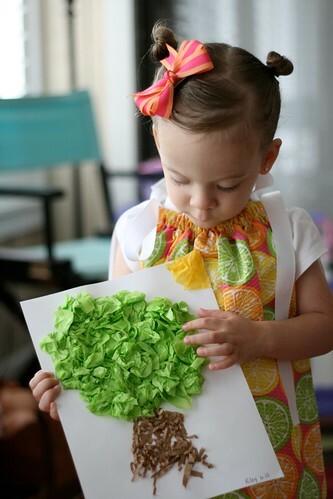 How fun is this recycled calendar matching game from Pre-school Play?! What a great way to show real life animals in their habitats! Ok, how cool is this?! It's a seed matching game from Stories and Children! Such a fun way to teach kiddos about what comes from these seeds and how they are different. We have SO many seeds and beans so we are definitely doing this! A Day in the Life of the Brown Family shared this adorable post about plants and the art they created! I love all their art projects, especially the tree! Plus, the photography is awesome! Were you featured today? Don't forget to grab a feature button!